From hot summers in the city to blizzard-burdened winters, Queens, NY, is full of noteworthy weather patterns. And while the change in seasons is a staple of New York living, it presents the unique challenge of getting the right level of climate control in your home. Fortunately, if you’re struggling with customizing your indoor temperatures to your exact preferences, you can turn to Weston Bros for exceptional solutions delivered by a multi-zone cooling and heating system from Mitsubishi Electric®. Advanced Allergen Control: Multiple stages of filters work hard to remove the majority of contaminants triggering allergy symptoms and lowering your air quality. And if you choose a model with a platinum deodorizing filter, you can neutralize odors that can leave a home smelling bad for days. These filters are washable, which means you can keep using them without spending money on new ones. Comfort for Your Ears: After spending the day in the noisy city, the last thing you want is to be annoyed by a loud air conditioner in your home. 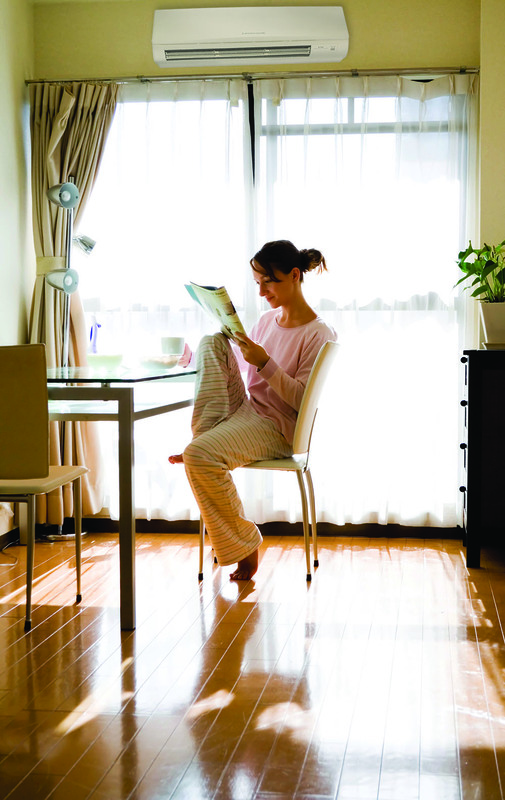 As ductless systems, Mitsubishi Zoned Comfort Solutions™ create minimal noise when directing air flow through your home. In fact, the indoor unit produces a minimum of 19 decibels quieter than a whisper. Lower Energy Bills: Mitsubishi multi-zone cooling and heating systems adjust their performance to ensure you always have the balanced temperature you want in only the rooms you choose. As a result, you can enjoy consistent comfort without worrying about how much your next energy bill will cost. In fact, compared to a conventional HVAC system, these ductless models are 40% more efficient. Another great perk to getting a multi-zone cooling and heating system from Mitsubishi: The equipment is more affordable than standard HVACs and can be installed in as little as one day. To find out how easy it would be to install a ductless system from Mitsubishi Zoned Comfort Solutions™, call Weston Bros. at (718) 793-2000. Offering reliable, fast, and competitively-priced services in Queens, NY, this team of ductless AC specialists is the best resource for enhancing your indoor comfort level.